Last year, I had the privilege of working with a wonderful teacher named Keren who taught fourth grade at a small, progressive school in New York City. Every year, students engage in what the school calls a “Big Study”: an inquiry into a topic that was both engaging and broad enough for every child to find a focus of interest. And for several years, the fourth grade’s Big Study was the Middle Ages. But if we truly believe it’s our job to teach students, not curriculum—and we take full responsibility for our students’ learning—we have to be willing to rethink what we’re doing and consider different ways of making big ideas and content accessible to students. To do that, I asked Keren to gather all the work her students had done so far in the study and bring it to our next meeting. Our job would be to look at the work to see if we spotted any signs or glimmers of emerging understands that we could build on. And we hit the jackpot when we looked at the notes Keren’s colleague had taken during a read aloud of Bonnie Christensen’s I, Galileo, a picture book biography of the medieval astronomer who discovered that the sun, not the earth, was the center of the universe—and was condemned for that. Just because you don’t understand another person’s ideas, it’s not right to shut them down and dismiss them. Was he in prison in the beginning? Was it a “figurative” prison because he was blind? Or was it the kind of prison they put people in in those days? Why did they treat someone who has good ideas, who’s clever and a hard worker who can figure out the “mysteries of life” so badly? Does this still happen today? Do we treat people badly for ideas other may not understand? Looking at these notes, Keren and I recognized that the children’s reactions were directly connected to their own beliefs and values, and we began to brainstorm how we might use these responses to first help them see how very different medieval values and beliefs were from their own and, from there, consider the role of power. To begin with we decided to make a chart that captured some of the children’s thinking, which Keren would use to explain how hard it can be to understand people who lived in a very different time because they didn’t always see things the way we do. And we also decided to record the students’ thinking through a three-column chart that would help consider what they valued, what they thought Galileo valued, and what they thought people of the time valued. I wonder why at the time they thought the Earth was in the middle? It might have been hard for them to believe something else, because look at the sun, and the moon- it seems like they’re moving. Yeah, they didn’t feel themselves moving, so they had no evidence. And it probably seemed like a crazy idea to think that the sun was the middle of things. Once that discussion ended, we asked the students to get into small groups to look at a packet of pages we’d printed from I, Galileo and Peter Sis’s book on Galileo, Starry Messenger, which we thought would push their thinking. Many also noticed—and were struck by the fact—that the Church did not pardon Galileo for what they considered to be his crimes until 1992. I don’t think they valued what can be seen with their own eyes- only the word of God. I think people valued other people who had the same ideas. Just who shared the same beliefs- they didn’t value those that didn’t share their beliefs. The Church wanted their beliefs be what everyone believed. It was only like 25 years ago when the Church finally pardoned Galileo and admitted his ideas were correct. I find that shocking. It seems what was valued was more the words of old history. They used the word “tradition” everywhere. It was traditions, because maybe they were scared of change. Change wasn’t something they valued- it was disbelief basically. I mean Galileo proved it, but they still didn’t believe him. Yeah, people weren’t believing Galileo-they held on and valued old traditions. Maybe it would embarrass the Church so they decided to burn people at the stake who had other ideas about the Earth not being the center of the universe. Maybe they thought it would disrespect God. So they couldn’t allow it. From there it was an easy step to consider who had power in the Middle Ages. All it took was a little innovation to plan a learning opportunity that began with the children’s own thinking— and a classroom culture that valued students’ feelings, opinions, reactions and thoughts. The late, great writer Ursula Le Guin believed that “We read books to find out who we are. What other people, real or imaginary, do and think and feel… is an essential guide to our understanding of what we ourselves are and may become.” I believe this, too, which is why I made a case in my last post for bringing interpretation back into classrooms, as the means through which we can reap reading’s ultimate benefit. But here’s the other thing about interpretation: In addition to helping us develop moral compasses, empathy, and self-awareness, I think academically interpretation also helps us analyze. In fact, I see interpretation as the too often unrecognized behind-the-scene work needed for real analysis. Think about it for a moment: Interpretation involves putting pieces of a text together to construct an understanding of its deeper meaning. It’s an act of construction, while analysis, on the other hand, deconstructs by separating a whole into its component parts ostensibly to see how the parts affect the whole. But how can readers analyze the function of the parts if they don’t really have a vision of the whole? I suppose it’s possible to do this if both the whole and its parts are known or familiar, like the dog and its disassembled parts above. But as I wrote in Dynamic Teaching for Deeper Reading, readers who don’t have a vision of the whole beyond the gist can wind up like the blind men in the old Indian tale, who attempted to understand what an elephant was by analyzing a part of it. One man touched the trunk and thought an elephant was a snake; another felt the tail and concluded it was a rope; a third stroked the ear and thought an elephant was a fan. No one was able to make sense of the whole by analyzing a part. When you have a deeper vision of the whole, however, analysis can be far more insightful. The third graders I wrote about in my last post, for instance, who were reading The Old Woman Who Named Things, didn’t notice every detail or initially understand every word. But once they’d developed an interpretation that encapsulated the whole, they were able to go back to a passage like this and have lots to say about why the writer had decided to have the old woman read this particular book. I keep finding new words to add to this chart, so it’s a work in progress. 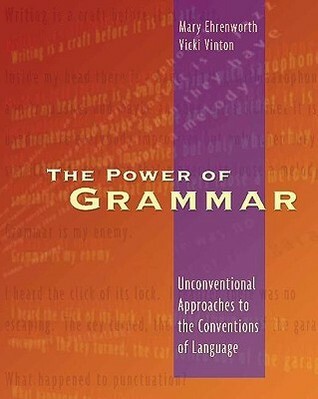 But one thing I know for sure is that while students might need to learn the meaning of and nuances between these verbs, they’ll be far more ready to answer these kinds questions if they’ve thought deeply and interpreted what they’ve read, rather than staying on the surface—or, as many students do, only start to think until they hit the questions. And interestingly enough, I’m not the only one who believes this. Reading is NOT the ability to answer certain kinds of questions about a text. . . Not knowledge, comprehension, analysis, synthesis or evaluation questions. Not “right there,” “think and search,” “author and me,” or “on my own” questions. Not main idea, detail, inference, structure or author’s tone questions. [Instead] reading is the ability to make sense of the ideas expressed in a text [through] the ability to negotiate the linguistic and conceptual barriers of a text” (or what I call ‘the problems’ a given text poses). Students who can make sense of a text’s ideas will be able to answer any kind of question about that text. While students who fail to scale those linguistic and conceptual barriers”—i.e., to solve those problems—will struggle with the simplest of questions. And how does he propose teaching kids to do this? Basically, once they’ve learned to decode, by teaching them how to interpret. Of course, the title of the blog post suggests that Shanahan sees higher test scores as the end goal of interpreting, whereas I see them as the by-product of more authentic and meaningful work. But just think about it: If we provided students with lots of opportunities to interpret right from the start of the year—with time set aside to regularly practice and experience how to move from interpretation to analysis, we wouldn’t have to drive ourselves and our students crazy with test prep at this point in the year. So let’s trade in all those literary analysis sentence stems, acronyms and worksheets and focus on supporting student interpretations as the backbone of analysis. According to Einstein, “Education is not the learning of facts, but the training of the mind to think.” I completely agree that learning to think should be one of the essential goals of education, but as I wrote in an earlier post, many of the tasks we set for kids and the scaffolds we teach them to use don’t really seem aimed at fostering thinking as much as completing those tasks. In that post, I offered an example of what a lesson focused on actual thinking might look like. And here, I’d like to take a deeper look at what we really mean by thinking and how we actually do it. One of the most common definitions you’ll find online is that “Thinking is a purposeful organized cognitive process that we use to make sense of our world.” That isn’t bad as definitions go, but it doesn’t offer any clues about how to think or what that process entails. Nor do any of the taxonomies and matrixes we’re often asked to use to ensure rigor. They all focus on the what, not the how in good part, I imagine, because of the fact that not even cognitive neuroscientists fully understand how we think. So for how to think, I turn to writers, who not only engage in making sense of the world but can express how they do that in ways that, to me, feel more accessible, practical and authentic than the words of reference books or science. And one of the things I’ve noticed about writers is how much value they place on the act of noticing. When doing read alouds with students, I usually start out with a text-based Know/Wonder chart, which is a thinking routine that abbreviates the chart above. Unlike K-W-L charts, which ask students to think about what they already know and wonder about a book or topic before they read, then what they learned after they read, a text-based Know/Wonder chart invites students to pay attention to what they know or have figured out about a text as they read and what they’re wondering about. And to get a feel for what that thinking can look and sound like, here’s what happened in a fifth grade classroom that had just embarked on Katherine Applegate‘s wonderful novel in verse Home of the Brave, about a young African refugee named Kek who struggles to make a new home in Minnesota after a civil war erupted in his homeland, as a read aloud. The class had already experienced how using this thinking routine could empower them as readers and thinkers. And here, without reading the book’s back cover or hearing a summary, they already had figured out much. In the first poem, for instance, they’d figured out that “the flying boat” Kek talks about was, in fact, an airplane, and that he must have come from a place quite different from Minnesota because he’d never seen snow before, nor seen, let alone tried to put on gloves. And they had a ton of questions: Why was Kek there? Where was his family? Where they already there? Would they be coming soon? Or had something happened to them? Their teacher Karen Bassano had paused here and invited the class to turn and talk about whether they’d figured out anything else or had answered any of their questions, and they zoomed right to the lines “He isn’t tall/like my father was,” where the past tense made them worry that Kek’s father had died. What they noticed was the dash, which they interpreted in two slightly different ways. One camp thought that Dave had stopped talking because he didn’t want to suggest Kek’s mother might be dead, while the other thought Kek had interrupted Dave because he didn’t want to hear what Dave might say. And those interpretations led them to wonder whether Kek was in a state of denial or if his parents might return in the spring, just as Dave had said the trees that looked dead in winter would do. To be clear, all this thinking—and close reading, which was what I would say the students were doing—occurred without any teacher modeling, prompting or directing beyond Karen asking them to turn and talk about what they knew or had figured out and what they were wondering about. They had, of course, experienced this before—and had found the whole process meaningful enough that many decided on their own to use it for their independent reading books. To be sure, there were other things Karen had done, especially in terms of creating an environment that valued thinking more than answers, that I’ll explore in another post. But for now, I’ll end with some final words about the power of noticing from the writer, musician and artist Brian Eno, which, I think, have implications for both students and teachers. 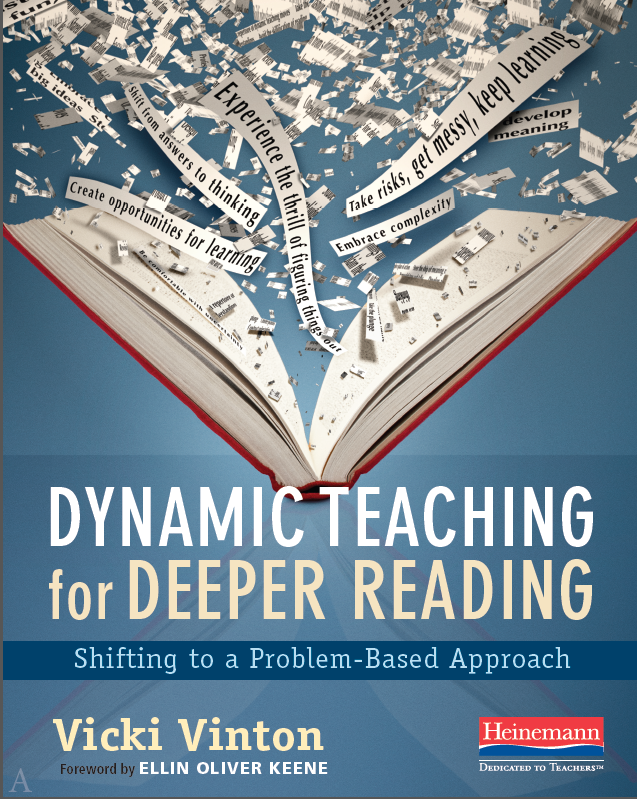 To learn more about this way of teaching, take a look at my new book Dynamic Teaching for Deeper Reading, which contains more examples of students reading closely and deeply, plus lots of guidance and tips for implementing it in your classroom. As we head into June, much of my time seems devoted to tying up loose ends and reflecting back on the year. And with loose ends and reflection in my mind, I’d like to share four resources I discovered over the school year that I couldn’t seem to find a home for in another post. The first is Cecil, the Pet Glacier, a delightfully quirky picture book written by Matthea Harvey and illustrated by Giselle Potter, that someone recommended to me a while ago. It sat on my bookshelf for quite some time before I decided to try it out as a read aloud in a third grade class this spring. 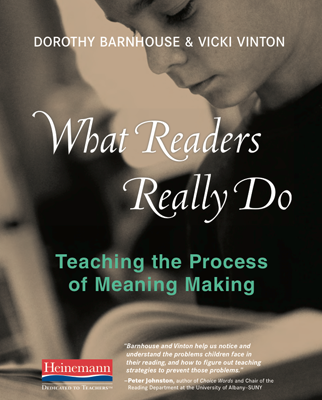 And it turned out to be a wonderful book for engaging students in the process of meaning making that Dorothy Barnhouse and I explored in What Readers Really Do. The book is about a girl named Ruby who, unlike her unique but self-absorbed parents (mom makes tiaras and dad creates topiaries), wants only to be normal. The class’s teacher wasn’t sure that her students would know what a tiara or a topiary was, let alone a glacier, and she also wondered if they’d get a book about a child who was embarrassed by her parents. She was game, though, to try it out and so we decided not to front-load any vocabulary but see how much the kids could figure out. This meant that many at first thought that the strange white object on the cover might be a package containing a pet. And while some thought that on the page below Ruby hoped that no one from school would see her because she was playing with dolls, others wondered if it was because she was didn’t want anyone seeing her parents, who had been shown on the page before dancing the tango through the topiaries in tiaras. We continued reading with those questions about Ruby’s motives and her parents in mind, with the students continually revising their ideas as they encountered new details. And that allowed the students to not only ‘get’ what a glacier was but what they thought Matthea Harvey was trying to show them about parents, relationships, growing up and what it means to be different and normal. Instead, mind maps invite students not just to copy but to think about where and how they’re writing down what in ways that can help them own and retain the content they’re learning more deeply. Here, for instance, is an example of a student’s psychology class notes where, in addition to capturing the main ideas of different schools of thought, she demonstrates true understanding of the content by the way she’s posed the question at the top of the page “Why did the woman kill the man?”, then answered it by applying the different perspectives, such as “The id took over,” which you’ll see at the bottom of her notes for the Psychoanalytic perspective. “What is our image of children and how do we, as teacher-researchers deepen our understanding of our values through reflecting on our daily practice and decision-making in the classoom? What are the elements of a classroom culture that supports playful inquiry and sustained curiosity? And what is the teacher’s role in this? I love the one child’s questions—”What’s inside? A tree is inside?”—and the way the other makes sense of the world by using figurative language—”This one is like the inside of a tulip” and “It’s where the baby plant comes out. It’s like the belly button of a bean.” But it reminded me of a study Sir Ken Robinson shared in his Ted Talk “Do Schools Today Kill Creativity?” The study tested young people’s ability to think in divergent or non-linear ways, which is key for creativity. Ninety-eight percent of the age three-to-five children who were tested could. Yet those numbers dropped precipitously the older students were. Only 32% of the age eight to ten tested children could, and of the test subjects who were between the ages of 13 and 15, only 10% were able to think in non-linear ways. Sir Ken attributes the drop in numbers to an educational system that’s too often driven by single right answers. But anyone who’s concerned with these numbers might want to take a look at what Opal’s teachers discovered as they pursued their questions. Finally, while I was at NCTE I snagged a copy of Battle Bunny, a new book by Jon Scieszka and Mac Barnett, with pictures by Matthew Myers. The book looks like a tattered Golden Book, with sweet illustrations and an uplifting message, that has been defaced and rewritten by the book’s owner Alex, who’s turned the original book’s main character Birthday Bunny into a chainsaw slinging rabbit. But here’s what I’d absolutely love to do: use the book as a mentor writing text and let students rewrite a real Golden Book with a partner or a small group to brainstorm the possibilities. Not only would that be enormously fun, but the critical thinking and problem solving opportunities would be huge. And I can’t help thinking that students would also learn quite a lot along the way about things like alliteration, word choice and the power of details in ways that could be lasting. Of course, this means buying a dozen or more Golden Books and dealing with the ethical question of letting students go at them. But I have to imagine there’s a teacher out there who sees the same potential for learning in this that I do. If so . . . let me know! The instructional implications of this seem huge. We currently live in a climate where making a claim—no matter how simple or undeveloped it is as long as it’s backed up with some evidence—seems to be valued more than developing a carefully considered idea, which can’t happen fast precisely because it’s carefully arrived at. If we’re serious about critical thinking then, it seems to me that we need to give students more time to seek, doubt, mediate and consider, knowing that, if we give them that time, what they eventually assert as a claim will be more nuanced and insightful. Anything less, I’m tempted to say, is more about test prep than reading. It’s also worth noticing that these readers were questioning because they were perplexed or wanted more. That is, their questions came directly out of their curiosity and their confusion—and those, in turn, came from the fact that they were paying attention. And here again, the implications seem huge. Much has been written about the importance of getting to students to ask their own questions. Yet if your experience is anything like mine, when we teach questioning as a skill divorced from confusion and curiosity, we often get questions that seem mechanical and that students aren’t interested in; or worse, we get students raising questions they already know the answers to just to meet an assignment. If we’re serious about questioning then, it seems to me that we have to welcome confusion into our classrooms, knowing that, as Socrates said, “Confusion is the beginning of wisdom.” And we can start doing that by sharing with our students the fact that we’re often confused when we read, and then inviting students to share their confusion, too. There are also implications in how these readers dealt with their confusion by creating what Steve Peterson called “maybe-stories.” They attempted to fit the pieces together in order to consider what the writer might be trying to show them, with different readers fitting different pieces together to arrive at different ideas. Most readers began that process by thinking about the characters, though people came up with quite different interpretations—from seeing Ruthie, as Julieanne did, as a “seemingly simple soul,” to Mary Jo Wentz who made me rethink my whole take on the story by suggesting that, far from being simple, Ruthie might have been taking Bill for a ride. Many, such as Susan, also found the title key to their understanding, though again, readers came up with a range of interpretations about what “20/20” meant. Karen, for instance, thought the story suggested that “there is no such thing as 20/20″ vision”, while Emily Rietz thought that 20/20 meant “seeing each other clearly in this world.” Others, found themselves focusing on the idea of a journey, in which Bill might be learning something from Ruthie, whether that’s, as Terri put it, a lesson about “reveling in the moment’ or in a more practical (and humorous) vein “to familiarize yourself with your traveling companion before embarking on cross-country adventures,” as Gail Ballard wryly put it. Meanwhile Pat thought about the story through the lens of assumptions, with Bill going from “lump[ing] people into categories” to “realiz[ing] he needed to look deeper.” And Colette managed to circle many of these ideas by focusing solely on the dialogue! “I was surprise how quickly students connected the story to the title and began to talk about ways of seeing. Many described Ruthie as imaginative and different, artistic in the way she sees the world. One student even point out the recurring references to ‘eyes’—Bill resting his, Ruthie’s ‘big, blue and capable of seeing wonderful sights,’ the ‘visions’ she has over the course of the story. . . .
As for me—though I’ve read this story any number of times, all these comments deepened and enriched my understanding of it. And this time around they enabled me to see the story in more than one way at once, like the optical illusion of the young girl and the hag, or those red spots winking by the side of the road, which could be reflectors or Bigfoot—or both. I recently heard about a study from the masterful math teacher and coach Lucy West, who, along with Antonia Cameron, is the author of the great new book on coaching Agents of Change. The study looked at the use of open-ended questions, of the sort that can deepen, stretch and expand student thinking, in 500 classrooms across five countries (the U.S., England, France, Russia and India). All those countries supposedly place great value on critical thinking and discourse, whether it takes the form of accountable talk, Socratic seminars or your basic turn and talk. Yet, in those 500 classrooms, open-ended questions accounted for only 10% of the questions posed by teachers. And in 15% of classrooms no open-ended questions were asked at all. Additionally the study found that only 11% of the teachers in those classrooms asked follow-up questions to probe student thinking in ways that might develop and extend both the ideas and the discussion. And when students asked questions that were relevant to the day’s topic but weren’t on the lesson plan (which the study called ‘uptake’ questions), only 4% of teachers actually addressed them. They rest just let them hang there. This seems to suggest that while we may talk the talk about talk, we don’t always walk the walk, and that leads me to the elephant in the room. While there may be many reasons why open-ended questions weren’t used more in those classrooms (including teachers being evaluated on standardize test scores), I suspect that the discrepancy between what we say and do is at least in part due to our fear of losing control of our rooms. Fear, of course, is a powerful thing, and in this case the fear isn’t totally irrational. Teachers are, after all, just one person in charge of thirty or more children whose minds and bodies and moods can go off in a zillion different directions. And so in the belief that it’s better to acknowledge what scares us than pretend it doesn’t exist, I want to share the fact that I’ve never helped a teacher implement a writing unit without feeling a moment of panic in the middle, when things are at their messiest and I’m not quite sure how I’ll ever get us out of what I’ve gotten us into. Nor have I ever sat down with students to read—whether it’s for a whole class read aloud, a small group or individual conference—and not been aware that, by asking open-ended questions, I’m opening myself up to the possibility of encountering something I hadn’t expected and might not know how to deal with, which is precisely what happened with that class of third graders I wrote about earlier who were ready to jump on the idea that the Maasai were giving 14 cows to America in order to fight Al Qaeda. Having some teaching moves up my sleeves, like the ones I’ve been sharing, definitely helps, as does giving myself permission to abandon my plans and exit the small group, read aloud or conference as gracefully and quickly as possible in order to give myself time to think about how to address whatever problem I’ve uncovered. And I hold on, as well, to the belief that if we don’t open up our lessons to encounter the unexpected, we limit the opportunities for students to show us what they’re capable of doing without us as well as where their thinking breaks down. I also think it’s useful to acknowledge the worst that could happen if we loosen the reins in order to see that those worst-case scenarios aren’t really as bad as we imagined. Last week, for instance, I showed how we could turn a student’s “I don’t know” into an inquiry question rather than a dead end. And what’s really the worst that can happen if we don’t know something or have all the answers? I think we fear that our authority or expertise might be called into question, but I believe that students actually gain much by seeing us not know everything. First and foremost, it demonstrates that learning is life long, and that we are learners, too. And admitting that we’re unsure of something often helps students take more risks in their thinking, as happened in a fourth grade classroom I worked in earlier this year. I bungled my way through the scientific name of a frog we were reading an article about, and the teachers observing me were convinced that my willingness to admit that I had no idea how to pronounce the frog’s name encouraged the students to share thoughts and ideas they weren’t completely certain about either. I think this means making peace with the elephant instead of ignoring or avoiding it and, more importantly, trading fear in for trust—trust in ourselves, trust in our students, trust in the meaning making process and the fact that the very worst that might happen is that we create some more space to learn. Part of why I love summer so much is because its full of traditions I’ve developed over the years: nighttime walks to different neighborhoods for ice cream, picnics at the Botantical Gardens, a bike ride to the Cloisters to start the cycling season, morning trips to the Farmer’s Market for peaches, tomatoes and corn. Of course, the first day of school is a tradition, too, which I imagine many mark in special ways (which may or may not include new school supplies). But as we nudge up to that day here, it occurred to me that I could mark the day by starting another tradition here by sharing, as I did last August, some of the amazingly thoughtful comments that teachers have left on this blog over the last twelve months. What follows, in no particular order, is a small sampling of the nearly two hundred comments I received this year. In each case, the teacher’s comment is set next to an image that links back to the post he or she was responding to, with another link embedded in the teacher’s name if they’re part of the growing and vibrant community of teachers who also blog. In each case, I also hope you find a voice that affirms, reinvigorates or fuels your own thinking as we all embark on another year that may, yet again, be bumpy. And I invite you to take a look at other comments that can be accessed on each post for more inspiration—and to feel free to join the conversation whenever the spirit moves you. “In our 5th grades we are guiding students at the end of a fantasy unit to decide on themes that are surfacing for them. The difficulty, as you stated, is that the adults guiding them haven’t had enough time to linger themselves with the ‘what’ of theme. They are nervous in the students’ need to linger and try out their thinking around themes that surface for them. As Ginny Lockwood (our consultant) and others caution us, we need to expose, not impose. The demands of the Common Core make it such that the adults guiding the work need a very sophisticated understanding of literature. Without it, the best laid plans could end up fostering the present type of ‘pin the tail’ thinking as we move ahead in this complex work.” Margaret C.
And now with these reminders to go slow and let go so that students have more time to think, may your year be filled with fascinating questions, rousing conversation, great reads and new traditions! One clover, and a bee. Call me a literacy jack-of-all-trades: a reader, a writer, a teacher, a consultant, a passionate lover of language and books, and a true believer in the power of stories to affirm and transform our lives. Here I follow Dickinson’s advice and attempt to make something out of reverie, sharing thoughts, reflections, ruminations and musings about reading, writing, teaching and the ways those all impact life. Are We Opening the Door Wide Enough for Our Readers? To respect the rights of writers and photographers, I try to comply with all copyright laws. Many of the photographs on this site were taken by my partner D. A. Wagner and appear here with his permission. Others have been purchased as micro stock with a license to use here. When unable to purchase an image or contact the photographer for permission, I've linked the image back to its source site to acknowledge and give credit to the photographer. Excerpts of text appear under the copyright law's fair use provision for educational purposes. Again all attempts have been made to link them back to their author, their publisher or amazon. Questions or oversights regarding copyrights will be promptly addressed. And visitors to this site are kindly asked not to swipe images without contacting me first.